10 resolutions that in our opinion every hotel manager should have. We can almost hear a collective digital sigh from the other end of our screen. We can almost hear you saying: “Another resolutions list? You’ve got to be kidding me.” But if there’s one thing you should know about the hospitality industry, it’s the fact that there is always something you can improve on. If you have your own resolutions for 2014, that’s great and we would love you to share them with us through the comments section below. If not, then here are 10 resolutions that in our opinion every hotel manager should have. Would you enter a clothing shop that has a terrible clothing window? Most probably not. The same applies to your website. It’s the first thing that potential guests see. No one want’s to read and see outdated content. When updating your site, do it as if you’re renovating or redecorating your hotel lobby. Your site’s content create a multi-sensory experience for your visitors, which means it should be written in such a way that they can almost feel your linen on their skin or taste your room service menu. Don’t just talk about the functional features of your hotel. Tell a story. The Comfort Inn & Suites – Boston Logan Int’l Airport does an excellent job at providing rich content. By seasonal booking we mean spikes in the number of your hotel guests driven by events in your area. Adding these events on your website is indirectly positioning yourself as the hotel-of-choice among travelers or tourists for these events. According to TripAdvisor, 57% of travelers/hotel guests are influenced by online travel agencies, which is equivalent to over 50 billion dollars or more than 8% of the hotel industry’s average annual revenue. This is why it is extremely important that your hotel’s profile on these online booking portals are accurate and updated. Perform an extensive audit on all online travel agencies that list your hotel and be ready with a more polished, more compelling and more updated profile. If there is a certain demographic or market segment that an online travel agency specifically caters to, you can tailor fit your profile to get higher conversion. Make sure your hotel’s description is fresh and up to date on Expedia Partner Central. You know what they say – keep your friends close and your enemies closer. To be frank, this should not even be here. Competitor analysis should be an instinct among hotel managers. However, if you’re not doing it yet, do it. Not two days from now. Not tomorrow. Do it today. Start with an online survey. Check out their website. Note what best practices they are implementing. Check out reviews about them – what happy guests are praising and what dissatisfied guests are complaining about. This may sound too simplistic, but you’ll be surprised to learn that there are a number of hotel managers who don’t update their published rates. A huge chunk of the hospitality industry is about managing expectations. If potential guests see inaccurate rates on your site and calls in to find out that they were fed with the wrong information, they’ll feel deceived. You won’t only lose a potential guest, but a potential ambassador for your hotel. Price points is crucial in the hotel industry – get it right, get it accurate. The hospitality business is one of those industries that is highly interconnected with other industries. Hotels are linked with airlines. Hotels are linked with car services. Hotels are linked with restaurants. The list goes on and on. As a hotel manager, joining your local chamber of commerce will allow you to develop a wide network, which can later on be used in establishing partnerships or synergies for your hotel. This can give your hotel an edge over your competitors and drive new guests via these partnerships. 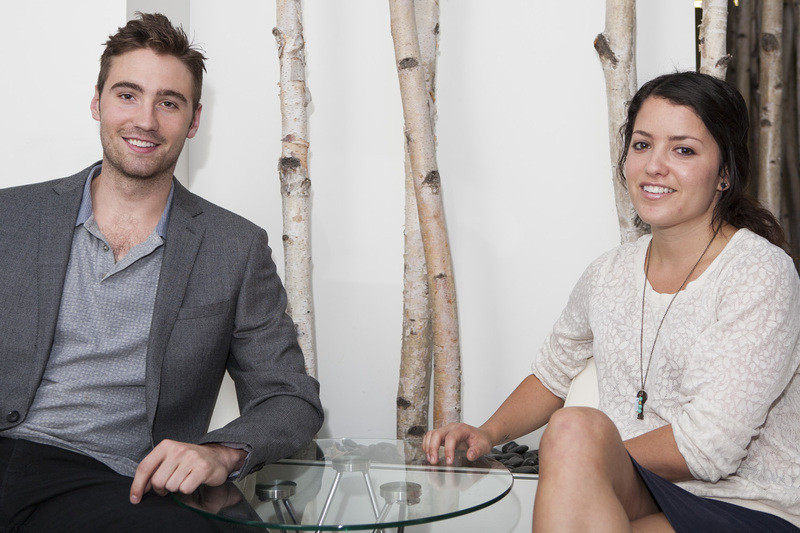 You may also land corporate clients, which is a profitable source of income for hotels. If people are not talking about you online, you are virtually non-existent. On the other hand, if people are talking about you but are saying negative things, your hotel’s reputation is doomed. The question is not whether you need online social reviews or not. The question is how well you do it. There’s a prevalent misconception among hotel managers that they can’t do anything about this – that all they can is cross their fingers and hope that their guests writes about their stay. Soliciting for reviews is frowned upon. If you share this same mentality, it’s time to throw it out of the window. There’s nothing wrong with proactively asking for reviews as long as you do it appropriately and without being too aggressive. This is what inspired us to create the Staff Social Reviews Cards. It’s essentially a business card that you issue your staff. They give it to the hotel guests they catered to. At the back of the card is a short blurb encouraging the guests to talk about their stay at your hotel together with a list of the most popular review sites. The card also instructs guests to mention the specific personnel in their review. This solution hits two birds with one stone – it encourages guests to talk about you online and fosters greater service accountability among your staff. Most of the time, hotel managers hear from dissatisfied guest days after they checked out, once they’ve ranted about their bad experience on TripAdvisor and other review sites. Why wait for your hotel’s reputation to get tarnished? We made our We Care Cards exactly for this goal – to get your guests’ feedback before they leave your hotel and empower you to resolve any dissatisfaction before they get the chance to spread negative reviews about you online? How would you react if George Clooney suddenly walks into your hotel? For sure, you will give him a treatment worthy of a Hollywood superstar – you’ll tailor fit your services to meet his specific needs. Here’s the thing, every guest deserves a VIP treatment. That is, Very Intimate and Personal treatment. Stop running your hotel as if it’s a run-off-the-mill business. Your guests are craving for a personal touch and it’s your job to give it to them. There’s no shortcut and no workaround. Recognize loyal guests with a Custom Candy Bar with their name on it. 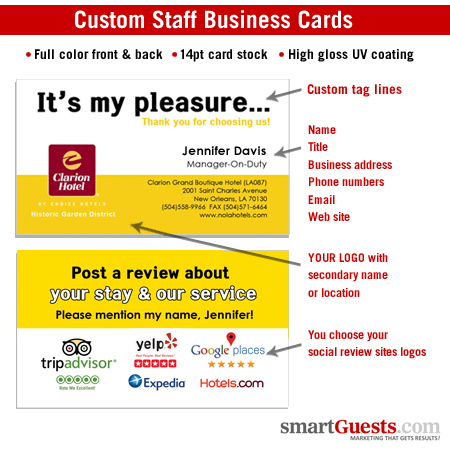 Use the SmartGuests.com’s exclusive Custom Candy Wrapper PDF Template. With this, SmartGuests.com would like to greet everyone a Happy New Year! Again, do let us know if you have other resolutions through the comments section below. Copyright 2014. All Rights Reserved. This content may not be used without permission.